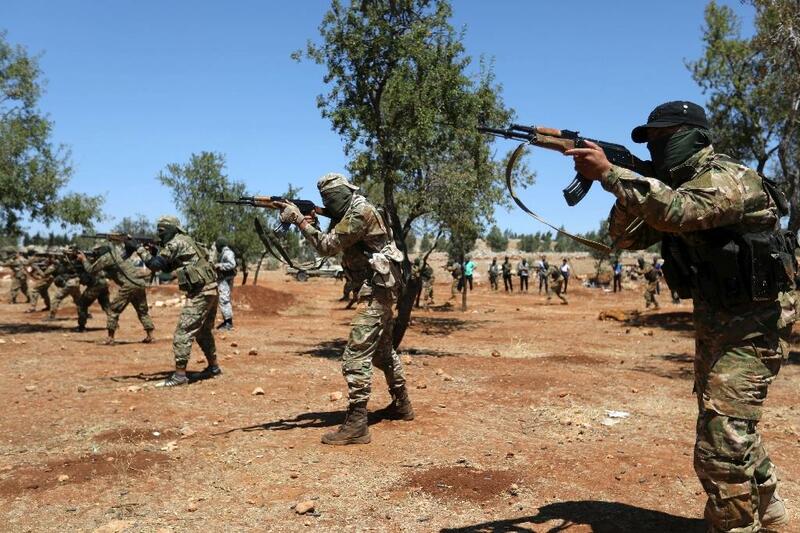 Beirut (AFP) – The Syrian regime and its Russian ally are threatening to recapture the northwestern province of Idlib, Syria's last rebel bastion, in which the jihadist Hayat Tahrir al-Sham reigns. The centerpiece is the former Al Qaeda branch in Syria, probably the regime's hardest enemy. HTS first appeared in Syria in January 2012 as the Al Nusra Front, and Syrian President Bashar al-Assad and his Russian ally still refer to the jihadist group of that name. Classified as a "terrorist" group by the United States, the European Union, and the United Nations, it came to Syria as an extension of Al Qaeda in Iraq. The current leader of the group, a Syrian who uses the Nom de Guerre, Abu Mohammad al-Jolani, is a veteran of the struggle in Iraq. In 2013, the group pledged allegiance to Al-Qaeda before separating with the global jihad syndicate in July 2016 and renaming itself the Fatah al-Sham Front. In 2017 she solved that The group is the backbone of Hayat Tahrir al-Sham. The group consists mainly of Syrian jihadists estimated at some 30,000 fighters, according to the Syrian Observatory for Human Rights. The jihadists are "well organized and fighting". hardened, "said the Syria expert Fabrice Balanche.
" HTS defi definitely holds a sizeable foreign fighter component, which may comprise at least 20 percent of its total armed forces, said Charles Lister, an analyst at the Middle East Institute. The fighters come mainly from the Middle East, but also from the Russian regions, Europe and South Asia, "he added. It has established a civil administration that levies tariffs on the border with Turkey and imposes taxes on traders. The group "derives so much from it. Power is the authority over how trade flows in and out of Idlib which helps finance the group and gives it power beyond its size, "said Nicholas Heras, researcher at the Center for New American Security. Previously, HTS had a presence in many of the rebel-held areas of the country, in particular near Damascus and in the south, but it has lost this territory as its fighters have been evacuated to Idlib in capitulation stores. HTS was consistently ruled by those of the Ver United Nations or Russia negotiated truces excluded. The jihadist alliance was the target of air strikes by both Moscow and the US-led anti-jihad coalition that has killed several of its commanders-in-chief. Formerly associated with influential Islamist rebel groups such as Ahrar al-Sham and Nureddine al-Zinki, in 2017 HTS experienced a bloody period of power struggles that included struggles with former allies and generated resentment that continues to this day. In 2018, Ahrar al-Sham and Nureddine al-Zinki announced their Turkey-backed merger to counteract the growing power of HTS. In early August, they joined four other rebel factions to form a new coalition – the National Liberation Front. Separately, HTS has in recent weeks intensified raids against "sleeper cells" in conjunction with the Islamic State Group (IS), which takes responsibility for attacks and bombing HTS leaders and fighters. The two jihadist heavyweights have also clashed in the Syrian city of Raqqa and in the eastern province of Deir Ezzor. In July 2014, the head of Nusra said the group's goal was to establish an "Islamic emirate" similar to the "caliphate" proclaimed by IS shortly before. On August 22, the retired Jolani broke a long silence to repeat that the group was determined to repel any offensive from Damascus. Russia has called for the dissolution of HTS, but neighboring Turkey is trying to negotiate a solution with the jihadists to avoid a large-scale offensive that would destabilize the border area, said the UK-based observatory. According to Heras, "the dissolution of the jihadist alliance by order of Turkey would deprive her of much of her power, which would replace HTS rule with Turkish rule."